Nearly Eighty People Show Up In Antioch To Voice Concerns Channel 4 news POSTED: 9:46 pm CST December 29, 2009 UPDATED: 11:38 pm CST December 29, 2009 ANTIOCH, Tenn. -- A public forum was held in Antioch Tuesday night to discuss plans for the new Music City Center. It was designed so constituents could ask questions about the proposed project. For the most part, the crowd was against the project. They applauded a suggestion that the public should have the right to vote on the Music City Center. "I'm concerned that we are jumping into this without enough information. The industry across the nation is suffering. Why do they think Nashville will be any different?” said retired Realtor Robert Kane. A minority of those in the audience agreed that past projects like LP Field have been good for Nashville. "I think it would be a real boon. I travel and I see what Nashville doesn't have in comparison," said Nicky Tataryn. Opponents say the project is a possible liability for the city. It's ultimately guaranteed by the general fund. They point out that conventions are a declining business. The next opportunity for public input is Jan. 11 at the city council meeting. The vote is Jan. 19. 4 locations studied after public outcry kills idea of locating WIC center at Hickory Hollow Mall By Christina E. Sanchez • THE TENNESSEAN • December 28, 2009 The Metro Public Health Department has identified four possible locations to put a new Women, Infants and Children clinic in Antioch after a public outcry prevented the program from moving into the Hickory Hollow Mall. Health officials had been in talks with the mall since June to open the center to provide nutrition counseling and food vouchers for low-income families. More than 43 percent of Davidson County's WIC participants live in Antioch, but the closest clinic, in the Woodbine community, is 20 minutes away and even longer by bus. Metro Council almost approved a contract for the new location this month, but neighbors rallied against it, saying the mall was not the right place. Council members agreed after 200 residents showed up at a community meeting and protested, saying the clinic would drive away business and drive down property values. The proposal was squashed at a council meeting two weeks ago. "Transportation is a real issue for our families," said Bart Perkey, director of health services access for the health department. "We wanted to locate a clinic in close proximity to where we have a lot of our WIC participants. Now, we are looking at other properties in the Antioch area." Hickory Hollow Mall seemed liked an ideal spot because the health agency could get a good rental rate for about 2,800 square feet, while the mall, which has struggled to keep tenants, would fill an empty spot. Perkey wasn't prepared to identify the locations being considered. The health department wants to work with council members and the community to make sure the WIC clinic is in the right spot. An estimated 75 families will use the location each day. There are three WIC locations in Davidson County: the Woodbine clinic, one in East Nashville and a downtown site. Grateful for help Benita Thompson, a Nashville mother of five, knows the benefit of a close WIC office. She is thankful she has the downtown WIC office five minutes from her home so she can make sure her 4-month-old daughter, Kevena, has the $14-a-can special formula she needs. "I couldn't afford that formula," Thompson said. "All my money and food stamps are budgeted out." She was grateful to be able to get fruits and vegetables while pregnant. "I was healthy, and my baby was born healthy," she said. "I didn't have any problems. I don't know what I would do without WIC." Councilman Sam Coleman, whose district includes Hickory Hollow Mall, got behind residents to support their concerns about WIC in the mall. He agrees that the WIC program, and especially a full-service health clinic, is needed in Antioch — just not in the mall. There is no money right now for the full clinic, but Coleman says he won't give up. "We need that clinic, just not at that location," Coleman said. "It was a tough decision. We need to return the mall to a viable status, but that does not include letting a WIC office go in." The new WIC location will be made possible because of a $500,000 grant through the Tennessee Department of Health. The money was given to Metro for the growth in the WIC program, which serves more than 300,000 people each year. Coleman said he would go on a ride-along with Dr. Bill Paul, Metro health director, to see other potential locations in January. The Metro Council will again have to approve the final contract. "We will pick out sites and see if those sites will fit inside their budget, and then meet with the other council members and the residents," Coleman said. "It will not go along the same track again." ""Night Out Against Crime" August 4, 2009"
Please attend the District 29 presentation on the proposed Convention Center facility called the Music City Center. This is the 2nd meeting in the district that we have had on this important matter. More information has been provided to us and I want you to hear about the proposed plans and allow you to get your questions answered directly. Be sure to share this notice with your neighbors! Facilitated By: District 29 Council Lady Vivian Wilhoite Telephone 615-589-2003 Visit often http://www.vivian-29.blogspot.com/ for up-to-date information. Happy Holidays Everyone! As announced at the Metro Council meetings, December 8 & 22 and also at our District 29 Christmas Mixer, this is a reminder of a meeting about the proposed convention center also known as the Music City Center. Please attend this meeting to hear from the supporters and the opponents of this project. There will be an opportunity to asked questions. I hope that you will attend. If you have questions or would like to speak with me about this issue or another matter relating to the district or the city, please continue to contact me at 589-2003 or you may email me at vivianwilhoite@comcast.net. Thank you for the opportunity to serve you. Gratefully, Vivian Wilhoite Metro Councilmember, District 29 http://www.vivian-29.blogspot.com/ www.twitter.com/Vivian2010 Look me up on Facebook! By Christina E. Sanchez THE TENNESSEAN • Matthew Perrone and Marilynn March ASSOCIATED PRESS • December 24, 2009 As many as 120,000 doses of H1N1 nasal spray vaccine that came to Tennessee were part of the latest nationwide recall because they lost strength, state health officials said Wednesday. Drugmaker MedImmune's recall affects more than 4.7 million doses, and the vast majority had already been used in early October, according to the Food and Drug Administration. Agency officials said the vaccine was strong enough when it was distributed in October and November. The vaccine recall is the second this month caused by declining potency and comes as public health officials urge millions of Americans to get vaccinated against swine flu. Similar to the first recall earlier this month when Sanofi Pasteur pulled 800,000 doses of the H1N1 shots for young children, people who got the nasal spray do not need to get re-immunized, said Dr. Tim Jones, state epidemiologist for the health department. "These are lots that we got really early on in the vaccination campaign when we were giving the vaccine as quickly as we received it," Jones said. "At the time, it was perfectly potent and even if they had gotten now, it would have been fine. Our recommendations remain unchanged, and vaccination is the best way to prevent illness." Tennessee found that 120,000 doses the state received were involved in the MedImmune recall, and the doses accounted for about 6.3 percent of the 1.9 million doses distributed since October. Swine flu vaccine has been available since early October, and since then manufacturers have released more than 111 million doses for distribution in the U.S. MedImmune makes the only nasal spray version, which can be used by healthy people ages 2 to 49. FDA investigates The FDA is looking into the problem but said it's not uncommon for vaccines to lose strength over time. MedImmune's vaccine has a recommended shelf life of about four months. The company has about 3,000 doses in its warehouses but does not know how many remain in the field, according to the FDA. Last week, vaccine maker Sanofi Pasteur recalled hundreds of thousands of swine flu shots for children because tests indicated those doses lost some strength. Most of those doses had already been used, too. Tennessee had received about 11,000 of the affected Sanofi doses. Doctors and health clinics have stopped giving the recalled Sanofi and MedImmune doses, and will return them to the manufacturers. Maryland-based MedImmune, a subsidiary of London-based AstraZeneca PLC, voluntarily recalled 13 lots of its vaccine, "due to a slight decrease in potency" discovered through routine quality control testing, said spokesman Tor Constantino. "It's not a safety concern. People who have received doses from the affected lots do not need to be revaccinated. The doses were well within potency specification," he said. . William Schaffner, an infectious disease expert at Vanderbilt University Medical Center, said all vaccines lose potency, but they are built with a buffer so they don't have to be recalled. "It's very rare that they are recalled," Schaffner said. "That's why the FDA will look at if we have to do anything different, or if it is a mark of how thoroughly the safety of the vaccine is being tested and monitored." Tennessean The Polar Plunge returns to Nashville Shores in February. Co-sponsored by the Metropolitan Nashville Police Law Enforcement Torch Run Program, plungers raise a minimum of $50 and take a dip in Percy Priest Lake. Proceeds benefit Special Olympics Tennessee. To register individually or as a group for the Feb. 20 event, visit www.specialolympicstn.org. All participants receive the official Polar Plunge T-shirt and can earn additional prizes for raising more money. Prizes also will be awarded for Best Costume, Oldest / Youngest Plunger, Top Fundraisers and Top Fundraising Team. For more information, contact Beth Teegarden, Special Olympics Tennessee special events director, at 615-329-1375 or bteegarden@special-olympicstn.org, or visit www.specialolympicstn.org. Center helps all education levels By Nicole Young • THE TENNESSEAN • December 22, 2009 SEASON TO GIVE: Part of a continuing series In fewer than two years, Lisa Greer went from a homeless addict on the streets of Memphis to a successful case manager using her past to help others. Greer, a Memphis native, moved to Nashville last summer in a last-chance effort to escape an addiction to crack cocaine. "I couldn't stay clean," she said. "I'd go through rehab and do fine for about a year, then I'd relapse. I would go to the same old places and fall into the old lifestyle over and over again." Greer spent five years battling the drug. At 39, a boyfriend introduced the mother of two to powder cocaine. Over time, Greer began using crack cocaine. "It didn't take long for me to lose everything," she said. "I became homeless and I had no one. My family refused contact with me because of all the horrible things I'd done." In June 2008, a desperate Greer came to Nashville in search of rehabilitation. While on a waiting list for the Magdalene program, she was referred to the Nashville Opportunities Industrialization Center, a nonprofit agency dedicated to providing education, training and job placement services to those ready and willing to build better lives for themselves, for computer software training. According to Executive Director Helena Farrow, more than 200 people have been helped by the agency so far this year. Services offered include GED education, computer software training in Microsoft Office and job counseling and placement at no cost. Classes are offered each day and are self-paced, Farrow said. Many clients referred "We have people come in at all levels of education," Farrow said. "Some come in at really low levels and others come in ready to take the GED exam, but everyone works with the instructors based on individual needs." Most of the center's clients were referred by other agencies, such as the United Way and drug rehabilitation programs, she said. "We don't just provide these people with services," Farrow said. "We support them emotionally and help them build self-esteem. "A lot of them come in not believing in themselves. They've never really accomplished anything because they've never had any support. We try to be the shoulder for them to lean on." Greer knows the feeling well. "When I got to Nashville, I didn't believe there was a future for me," she said. "But, God put me in the right place at the right time. The people who work here have become my family. "They prayed with me. They listened to me. They didn't judge me." Six months after Greer came to the center, she had graduated from her training course in computer software and was working through a residential transitional housing program at Recovery Community. In May, she began working as a case manager at Recovery Community. Today, she has rekindled the relationship with her two sons, ages 29 and 23, and grandchildren. And she dreams of becoming a licensed drug and alcohol counselor before returning home to Memphis to found her own recovery program. "Addiction was an awful thing to go through, but I wouldn't be who I am if I hadn't gone through it," she said. 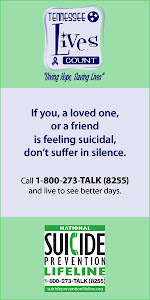 "As a society, so many of us are afraid to ask for help when we need it. We try to look for the answers ourselves and when we hit a wall, we give up. "Don't be afraid to ask for help." By Nicole Young • The Tennessean • December 16, 2009 Metro Police and the FBI are looking for three suspects who robbed Fifth Third Bank’s Nashboro Village branch on Murfreesboro Pike Wednesday afternoon. Three masked men, one described as heavyset and two others described as having medium builds, entered the bank at 4:48 p.m. and demanded cash. At least one of the men was armed with a shotgun, police said. Tellers complied with the robbery demand. As the suspects fled the bank, dye bombs exploded, causing the men to drop some of the money, police said. Witnesses at the scene did not report seeing a getaway car. Anyone with information regarding the robbery is urged to contact Crime Stoppers at 74-CRIME. Tennessean DAVIDSON COUNTY The Nashville Electric Service is warning customers about a new telephone scam. Several residents have reported calls from con artists posing as NES workers trying to collect money. A utility spokesman said NES employees are not permitted to contact customers by telephone or in person to ask for payment on a bill. Under company policy, all employees are required to wear uniforms and carry photo identification badges and all field vehicles are marked with the NES logo and vehicle number. Under no circumstances are NES field employees allowed to take cash from customers for an electric bill payment or any type of work they perform, the spokesman said. NES is encouraging anyone who receives a suspicious call to contact customer relations at 615-736-6900. WKRN Channel 2 Posted: Nov 24, 2009 7:30 AM CST Tenn. – More families are in need of food in Nashville this holiday season. A new report found 14 percent of mid-state families are struggling to find enough food. Second Harvest Food Bank will be giving food to families for Thanksgiving and the rest of the holiday season, and Metro employees gathered food for Second Harvest to help in that need. The need is greater this year than in any previous year. "Our goal this year to meet the increased need of 38 percent is to raise seven million meals for hungry men, women and children during the holiday season," Tasha Kennard, with Second Harvest Food Bank, told News 2. "Last year we raised about five million meals but due to that increase, we need to raise two million meals more than we did last year. We need the community support with food drives, online donations and volunteers to help sort all the food that comes in." Second Harvest is also short on volunteers as people go on vacation for the holidays. Those interested in volunteering visit Second Harvest's Web site or visit the center at 331 Great Circle Rd. in Nashville. Residents fear it would hurt Hickory Hollow's future; council defers proposal By Michael Cass • THE TENNESSEAN • December 16, 2009 Metro will have to look for a new place for a health clinic after a plan to put it at Hickory Hollow Mall met resistance from Antioch residents. The Metro Health Department had reached a lease agreement with the mall's owners and planned to install a clinic for the federal Supplemental Nutrition Program for Women, Infants and Children. More than 40 percent of the city's WIC recipients live in the Antioch area. City officials thought the 2,809-square-foot clinic would be a good use of vacant space in a mall that has been struggling. But area residents expressed concerns at a community meeting attended by about 150 people Monday, and the Metro Council indefinitely deferred the proposal Tuesday. Councilman Sam Coleman, who represents part of Antioch, said many residents felt the clinic's presence would hurt a mall that they believe can be a strong retail center again. "They felt it would create a stigma that Antioch is gone and that the mall is less desirable than the mall it once was," Coleman said. "The sentiment of the community means a lot to us." He said the residents weren't opposed to having the clinic somewhere in Antioch. Living Word Community Church quickly offered to provide space, Coleman said, adding he expects the health department to explore multiple sites. "We're going to do the right thing for the Antioch community," he said. Councilwoman Vivian Wilhoite, who represents another part of Antioch and southeast Nashville, agreed. "WIC is an invaluable resource, a very important program," she said. No potential replacement site has been selected, according to health department spokesman Brian Todd. In other business, the council rejected a resolution that would have asked the General Assembly to explore legislation repealing all state laws that allow for the creation of government "authorities." Councilman Eric Crafton introduced the resolution out of frustration with the Metro convention center authority, saying its existence allows the city to avoid a binding public referendum on the $585 million convention center project. But Councilwoman Megan Barry pointed out that the legislation would effectively be asking the state to take away some of the city's powers. Metro has long-standing authorities that oversee its airport and its professional sports venues. The measure failed by an 11-25 vote. Contact Michael Cass at 615-259-8838 or mcass@tennessean.com. Audit discovered surplus year after bus fare hikes, route cuts By Nate Rau • THE TENNESSEAN • December 16, 2009 A little over a year after the Metro Transit Authority was forced to raise rates and cut sparsely used bus routes, the agency has achieved a surprise surplus, which it may use to pay down a decade-old loan from Metro. The $836,000 surplus was discovered after a comprehensive annual audit showed Nashville's public transportation organization was able to trim costs related to fringe benefits and preventive maintenance. The MTA board will vote at its Thursday meeting whether to follow its finance committee's recommendation to use the funds to pay down a $1.6 million Metro loan from the year 2000. 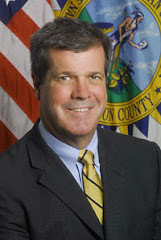 Mayor Karl Dean complimented the MTA's management, in particular director Paul Ballard, for its work this year in achieving the surplus. Excellent management "The surplus speaks to the excellent management we have at MTA," Dean said. "Paul Ballard and his staff have been able to cut costs during these difficult economic times, and still enhance the level of transportation services in Nashville with the addition of our new downtown transit station and Bus Rapid Transit. "We need to continue to grow mass transit as our city grows, and I have full confidence in MTA as we move ahead in that area." A surplus was achieved one year after MTA saw record bus ridership in response to skyrocketing fuel costs. Despite the increased ridership, MTA was forced to raise its bus fares and to eliminate its least-used routes. State says kids who got weakened vaccine don't need new shots By Christina E. Sanchez • THE TENNESSEAN • December 16, 2009 Parents whose children got H1N1 flu shots that were part of a nationwide recall of 800,000 doses of the vaccine do not need to worry and the children are still protected, Tennessee health officials said Tuesday. Sanofi Pasteur, the shot manufacturer, voluntarily recalled the 800,000 doses that were distributed around the country after the company discovered the strength of the active ingredient had decreased. The pre-filled syringes of the recalled vaccine were for children ages 6 months to 35 months. State health officials said Tennessee got 82,600 H1N1 shots from Sanofi for children in those age groups, though they do not know how many would be affected by the recall. But state Health Commissioner Susan Cooper said the vaccine is safe, and parents don't need to do anything even if their child got one — or two — of the Sanofi doses. Children ages 9 and younger need to get two doses of the H1N1 vaccine a month apart to be fully protected against the virus. "Parents do not need to get their child re-immunized," Cooper said. "The vaccine is still effective in generating an immune response in these children." Davidson and Shelby counties' health departments have determined they did not get any of the affected doses. Tennessee providers, as well as providers across the country, have stopped giving the recalled vaccine and will return it to the company once directions on how to do so are released. 12 percent below standard The issue with the recalled doses is the vaccine's strength. Tests done before the shots were shipped — a routine practice — showed that the vaccines were strong enough. But tests done weeks later indicated the strength had fallen slightly below required levels listed on the label. Sanofi Pasteur, the vaccines division of France-based Sanofi-Aventis Group, noticed last week that the potency had changed in one lot, or shipment batch, and began testing others. They found four affected lots.Why the potency dropped 12 percent below the government standard isn't clear. "That's the $64,000 question,'' said Len Lavenda, a Sanofi Pasteur spokesman. Dr. Kelly Moore, director of the Tennessee immunization program, said all vaccines undergo routine testing to check for potency changes before and after shipping so providers know when to no longer use a dose. "All vaccines are fragile, and they degrade naturally over time," Moore said. "All of the vaccines are designed with ample amounts of antigen to effect an immune response, so there would still be enough to provide protection." Metro Nashville Health Department officials were fielding calls from concerned parents, said Brian Todd, agency spokesman. "We've let them know we did not administer doses of the recalled vaccine," Todd said. THE ALLIANCE OF DISTRICT 29 cordially invites you to the 4th Annual Neighborhood Christmas Mixer Friday, December 11, 2009 6:30 p.m. – 8:30 p.m. Priest Lake Presbyterian Church (Gym) 2787 Smith Springs Road Come enjoy fellowship, food and fun with neighbors and special guests. Please bring can food donations to benefit our local Second Harvest Food Bank at Hamilton United Methodist Church. Also, bring your favorite holiday dish to share with everyone! The Alliance of District 29 is a collective effort of neighborhood watch groups, homeowner associations and neighbors in District 29 to accomplish the mission to “Promote safe, beautiful, and informed neighborhoods.” For more information, please call Lena Brown Prince @ 361-3729 or Commissioner of Beautification Juanita Veasy @ 399-6846 or Councilmember Vivian Wilhoite @ 589-2003 or visit www.vivian-29.blogspot.com. By Christina E. Sanchez • THE TENNESSEAN • December 7, 2009 With more than a million Tennesseans lacking dental insurance, Meharry Medical College is hoping a new oral health clinic will help treat underserved populations with the latest technology. The new dental clinic will serve uninsured patients while allowing student dentists to practice oral health care with technology that is changing dentistry. "As the nation grapples with health reform, good oral health needs to be a part of that," said Wayne Riley, president of Meharry. "It must include access of dental services to the overall population." Meharry built its dental imaging clinic at the school of dentistry using a $780,000 grant from Delta Dental of Tennessee. The new facility took about two years to construct. The clinic is different because it offers digital imaging machines that can produce three-dimensional X-rays of teeth on a computer screen. The dentists can view the tooth from any angle, cutting the image in half or sections to see details. The digital machine is not available in most dentists' offices. Many Tennesseans don't regularly see dentist No film or chemicals are required because the images are all produced on computers. The clinic also has traditional plastic film X-rays because state board testing requires dentists to be able to use the technology. Jenessa Holloway was thankful to be able to go the clinic. She works, but her benefits don't kick in until next year. It was cheaper for her to pay the reduced fees that Meharry offers than to sign up for interim insurance. About 75 percent of the patients that Meharry treats are uninsured. "Your teeth are important," Holloway said. "If you have a problem, it can bring you down for a while." Tennesseans don't do a good job of taking care of their teeth, said the Centers for Disease Control and Prevention. The agency's Behavior Risk Factor Surveillance System showed in 2006 that the state ranked 42nd in the nation for people going to the dentist. About 66 percent of adults in Tennessee had at least one dental visit in a year, compared with 70 percent nationally. And the lower the annual income, the less likely a person was to get a dental checkup. Lack of regular dental care causes some people to end up in the emergency room. More than 50,000 Tennesseans took a trip to the emergency department for dental-related problems in 2005, the latest numbers available. Training future dentists Delta Dental donated the money to Meharry to help produce top student dentists with the latest qualifications. "The only way we will produce more and better quality care is to turn out students," said Dr. Phil Wenk, president and chief executive officer of Delta Dental of Tennessee. "Meharry's mission is to help the underserved populations. They make their students very conscious of that." Simeon Udunka, a third-year dental student at the college, is excited about the opportunity to practice in the clinic. "When you have something of this magnitude as a resource to be trained, it's a blessing," Udunka said. "It's one thing to get your books and hear all the lectures, but it's another thing to actually put it into practice and help people." ABOUT THE SERIES Season to Give stories will run in The Tennessean through Christmas Eve. They highlight Middle Tennessee residents who have bettered their lives thanks to help provided by local charities. The series will cover organizations throughout the region that help people in various age groups who find themselves in a number of difficult circumstances. In this holiday season, we hope the stories will encourage readers to contribute to the agencies directly, or to the United Way of Metropolitan Nashville or the Community Foundation of Middle Tennessee, which support the activities of each of the spotlighted programs. WANT TO HELP? Contact Robin Dillon, the United Neighborhood Health Services’ director of development, at 615-228-8902 ext. 130 or rdillon@unitedneighborhood.org. By Janell Ross • THE TENNESSEAN • December 3, 2009 SEASON TO GIVE: Part of a continuing series Freda Brooks spent the better part of this year living on the medical equivalent of the edge. Brooks, 49, has high blood pressure and diabetes. For the first time in her 32-year work life, she is part of the working uninsured. Brooks thinks that's what gave her the nerve to ask a coworker the kind of question that might seem impolite. "I asked her, 'How do you afford your insulin?' " Brooks said. "She told me, 'Well, I go to the United Neighborhood Clinic.' " United Neighborhood Health Services is a full-service community clinic system founded in 1976 that aims to ensure that everyone — regardless of income or insurance status — has access to the health care they need, said Dr. Keith Junior, chief medical officer. Today, the nonprofit agency operates more than a dozen clinics in mostly lower-income areas of Nashville and Hartsville and areas where other medical practitioners are scarce. The agency also takes health services to the homeless, has established clinics in a few Nashville area schools and housing projects and operates a clinic at Skyline Medical Center. United Neighborhood Health Services will take care of about 30,000 patients in somewhere between 85,000 and 90,000 office visits this year, Junior said. Of its patients, 8,000 to 10,000 are under age 19. About 55 percent of patients are uninsured and billed on a sliding scale based on income and family size. "What we try to do is see people and keep them out of the hospital if we can keep you out of the emergency room, keep people from becoming a catastrophic case," Junior said. This week, Junior, has treated what may be terminal liver disease, diabetes and the complications of diabetes, such as wounds that will not heal, hypertension, flu symptoms, high blood pressures, asthma and bronchitis. "It is a godsend, a godsend. I don't know where I would be it weren't for them," Brooks said. Move comes after CoverKids program for needy froze enrollment By Christina E. Sanchez • THE TENNESSEAN • December 4, 2009 Amid controversy about the state's decision to cut off enrollment for a health insurance plan for low-income children, Tennessee expanded another program Thursday to give the sickest children an alternative. AccessTN, a state-subsidized insurance plan, previously was reserved for adults who were uninsurable because of pre-existing conditions. The adults must pay a monthly premium for the insurance, although financial assistance is available. The AccessTN board voted Thursday to allow medically uninsurable children to apply as a stopgap measure to the frozen enrollment of CoverKids. Officials do not know when CoverKids will reopen. On Wednesday, The Tennessean reported that financial constraints forced the state to shut down new enrollment for CoverKids and a cousin program for adults, CoverTN, prompting an outcry from health policy advocates. Existing enrollees kept their insurance. "We realize this isn't a solution for everyone, but it's an honest effort," said Joe Burchfield, spokesman for Cover Tennessee, the state program that includes CoverKids, CoverTN and AccessTN. "We're trying to manage within our means. This is about the only action we can take right now." Burchfield said it isn't known how many children qualify for AccessTN or how many the program can accept. To qualify, a child must be medically uninsurable and have had no health insurance for three months. "It would be pretty difficult to isolate the number of children that would qualify for this," he said. Premiums range from $284 to $410 per month. Financial aid for up to 60 percent of the premium could be available for families earning less than $75,000 annually. The program just cleared a waiting list for that aid, and more assistance could still be given. Critics say it isn't enough Advocates say the expansion of AccessTN isn't enough and that the move falls short during a time when unemployment is high, family budgets are tight and the demand for health insurance is rising. "This fixes it only for a tiny percentage of families — for kids who are too sick and uninsurable," said Michele Johnson, who works on kids' health issues for the Tennessee Justice Center. "By and large, the reason why other states have not frozen their programs is that most kids don't fit into those categories." Money is tight for the state as it faces a $1.5 billion shortfall in a $29 billion budget. Many departments have been asked to cut or save where they can. CoverKids won't have its $115 million budget cut, but the program is expected to serve only the number of children it can afford, which includes about 44,000 children. The CoverKids program — which serves families not poor enough to qualify for TennCare, the state's Medicaid program — will not reopen until more money is found or until people leave the program through natural attrition. About 350 of the children on CoverKids bought in, or paid a premium to get the coverage. Johnson said AccessTN would be unaffordable for many families. "AccessTN premiums are beyond the means of families who already find their backs to the wall financially," she said. About 147,000 children in Tennessee lack health insurance, according to the Kaiser Family Foundation, a non-profit health policy organization. Burchfield said no additional funding will be given to AccessTN, which serves about 3,800 adults, to expand to children. "The budget for the program now is $23 million," he said. "There is room in the budget to allow this to happen." Amid controversy about the state's decision to cut off enrollment for a health insurance plan for low-income children, Tennessee expanded another program Thursday to give the sickest children an alternative. AccessTN, a state-subsidized insurance plan, previously was reserved for adults who were uninsurable because of pre-existing conditions. The adults must pay a monthly premium for the insurance, although financial assistance is available. The AccessTN board voted Thursday to allow medically uninsurable children to apply as a stopgap measure to the frozen enrollment of CoverKids. Officials do not know when CoverKids will reopen. On Wednesday, The Tennessean reported that financial constraints forced the state to shut down new enrollment for CoverKids and a cousin program for adults, CoverTN, prompting an outcry from health policy advocates. Existing enrollees kept their insurance. "We realize this isn't a solution for everyone, but it's an honest effort," said Joe Burchfield, spokesman for Cover Tennessee, the state program that includes CoverKids, CoverTN and AccessTN. "We're trying to manage within our means. This is about the only action we can take right now." Burchfield said it isn't known how many children qualify for AccessTN or how many the program can accept. To qualify, a child must be medically uninsurable and have had no health insurance for three months. "It would be pretty difficult to isolate the number of children that would qualify for this," he said. Premiums range from $284 to $410 per month. Financial aid for up to 60 percent of the premium could be available for families earning less than $75,000 annually. The program just cleared a waiting list for that aid, and more assistance could still be given. Critics say it isn't enoughAdvocates say the expansion of AccessTN isn't enough and that the move falls short during a time when unemployment is high, family budgets are tight and the demand for health insurance is rising. "This fixes it only for a tiny percentage of families — for kids who are too sick and uninsurable," said Michele Johnson, who works on kids' health issues for the Tennessee Justice Center. "By and large, the reason why other states have not frozen their programs is that most kids don't fit into those categories." Money is tight for the state as it faces a $1.5 billion shortfall in a $29 billion budget. Many departments have been asked to cut or save where they can. CoverKids won't have its $115 million budget cut, but the program is expected to serve only the number of children it can afford, which includes about 44,000 children. The CoverKids program — which serves families not poor enough to qualify for TennCare, the state's Medicaid program — will not reopen until more money is found or until people leave the program through natural attrition. About 350 of the children on CoverKids bought in, or paid a premium to get the coverage. Johnson said AccessTN would be unaffordable for many families. "AccessTN premiums are beyond the means of families who already find their backs to the wall financially," she said. About 147,000 children in Tennessee lack health insurance, according to the Kaiser Family Foundation, a non-profit health policy organization. Burchfield said no additional funding will be given to AccessTN, which serves about 3,800 adults, to expand to children. "The budget for the program now is $23 million," he said. "There is room in the budget to allow this to happen." By Clay Carey • THE TENNESSEAN • December 4, 2009 Construction will close a short section of Interstate 440 in Nashville starting tonight. The westbound lanes of I-440 between I-24 and I-65 will close at 8 p.m., according to the Tennessee Department of Transportation. The interstate is expected to reopen by 6 a.m. Monday. Most traffic will be diverted to I-40 through downtown Nashville. The closure is one of several planned over the next few months, as workers rehabilitee concrete on the road. Channel 5 Posted: Dec 04, 2009 6:33 AM CST NASHVILLE, Tenn. - A big reminder for parents - Friday will be the final day to submit applications for Metro students to attend magnet and optional schools. The applications for the 29 schools were sent out in November. Any applications submitted after 5:30 p.m. Friday will not be accepted. After receiving all applications, Metro Schools will pick students to attend those schools during the lottery in January. You Are Invited To Join NAHCC Members And The Nashville Branch Of The NAACP For The "KNOWING YOUR RIGHTS IN A TRAFFIC STOP" Legal Clinic December 5th, 9am-noon WHO: Moderator, Attorney Lynda Jones-The Jones Law Group PLLC Panelist, Attorney Jerrilyn Manning- Member of TN Association of Criminal Defense Lawyers Panelist, Attorney Dawn Deaner- Metropolitan Public Defender Interpreters, Nashville Area Hispanic Chamber of Commerce WHAT: KNOWING YOUR RIGHTS IN A TRAFFIC STOP WHEN: Saturday, December 5, from 9a.m. to noon Free and open to the public WHERE: PJ Hall of Fisk University's Jubilee Hall A Important message from the Nashville Area Hispanic Chamber of Commerce: (From the Nashville Metro Police website) Any person who feels that he or she has been mistreated by a sworn officer or a civilian employee of the police department has the right to make a complaint. If at any time an officer or an employee of the Metropolitan Police Department mistreats, harasses, intimidates or commits a crime against you, remember the names of the officers, what they looked like and the time and date of the event. 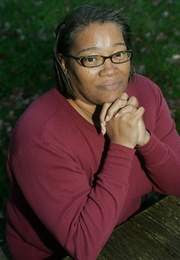 By Janell Ross • THE TENNESSEAN • December 2, 2009 Late last year, the pain ripping though Penny Davis's jaw was searing. She'd already taken two unpaid weeks away from work. One dentist said the cost to remove her problem wisdom teeth would be $1,400; another said he would charge her a fee per tooth. There was another problem. After a childhood that included one visit to the dentist, Davis had cavities and an outbreak of so much brownish-gold decay that someone once asked if she smoked crack. "One moment you are in so much pain you can't function, and another you have people judging you because of the way your teeth look," said Davis, a 29-year-old mother of two who lives in Murfreesboro. "Of course, they don't know what caused my teeth to be like that, but they think they do." A neighbor told Davis about the Interfaith Dental Clinic in Nashville. The clinic, which began in the basement of West End United Methodist Church 15 years ago, tries to fill a gaping hole in Tennessee's health-care system for the poor, those in pain and the uninsured. TennCare provides no dental coverage, and only a small patchwork of community clinics are equipped to provide some dental services, said Rhonda Switzer, executive director of the clinic. Dental care, even with insurance, can be so expensive that it's unattainable, or at least something people put off until they are in crisis. But the lack of dental care can contribute to premature births, heart disease and exacerbate diabetes, Switzer said. What happens all too often is that people arrive at the dentist in crisis after years of gum disease and tooth decay have taken their toll. Cost concerns lead people to agree to have all their teeth removed, she said. Decay arrested That's where the Interfaith Dental Clinic's eight staff members, all but two of which treat patients, and more than 300 volunteer dental practitioners come in. Potential patients with severe dental pain are seen on an emergency basis. Then they must apply to participate in the clinic's program. Participants must have no dental insurance, be employed but earn incomes that fall below 250 percent of the federal poverty line, learn about oral health and agree to maintain dental work performed at the clinic through proper hygiene. "We try to get them cavity free, pain free and gum disease controllable," said Switzer. "When we do, there's a lot more that can come with a change in a patient's teeth." Just last week, Switzer treated a mother of five who, along with her husband, was moved to tears when, for the first time in 10 years, her smile included two front teeth with no visible decay. Clinic patients pay for dental work on a sliding scale based on income and family size. Dental work is spaced out so that patients may save and plan for the expense. Over time, Davis, for example, will pay about $3,000 of what would likely be the $13,800 bill for her dental needs in another practice. "I honestly don't know what I would have done without this place," she said. "I didn't want to come all the way to Nashville, but I'm so glad they're here. It's really changed my life." . Metro Council to hold special hearing By Nate Rau • THE TENNESSEAN • December 2, 2009 Davidson County residents will have an opportunity to weigh in on Mayor Karl Dean's financing proposal for a new $585 million downtown convention center before Metro Council votes on the deal. Metro Council will hold a special public hearing 6:30-8 p.m. Jan. 11 at the historic Metro Courthouse. Councilman Charlie Tygard, chairman of the budget and finance committee, and Councilman Erik Cole, chairman of the convention, tourism and public entertainment committee, called for the public hearing before Tuesday's council meeting. The public hearing will be in addition to four council committee meetings already announced to take place over the next six weeks. Council members asked the administration to give them six weeks to consider the financing package and to have enough time to hold community meetings on the issue. Councilman Jim Gotto also asked to hold a public hearing on the convention center financing. "It's a significant event in the history of the city, so it makes good sense that we hear from the public," Cole said. "I presume we'll have proponents and opponents. It will be interesting to see if we have regular, everyday people who don't have their minds made up yet." Typically, public hearings are held only in conjunction with zoning bills. The Dean administration will unveil its financing plan on Thursday. Special meetings are planned for Dec. 9, Jan. 11 and Jan. 14 in advance of a probable vote at the Jan. 19 meeting. Shortfall could leave low-income adults, kids without coverage By Christina E. Sanchez and Janell Ross • THE TENNESSEAN • December 2, 2009 RX FOR CHANGE: Part of an occasional series As state funds run dry, Tennessee has cut off enrollment for two health insurance programs for low-income people, leaving the state at risk of a crisis, advocates say. Tennessee became the only state in the nation to have frozen enrollment for a children's health insurance program funded largely with federal money, according to the liberal Center on Budget and Policy Priorities in Washington, D.C. The state stopped accepting new CoverKids applicants on Monday. At the same time, the state stopped enrolling adults in CoverTN, an insurance program designed for the self-employed and working poor. "This is a perfect storm for Tennessee families," said Michele Johnson of the Tennessee Justice Center, an advocacy group for low- and middle-income families. The changes come at a time when the state's unemployment rate is above 10 percent, and a federal subsidy to help laid-off workers pay for health insurance is expiring. "In the midst of an economic crisis putting so many middle-class families on the brink, our state's policy decisions push them over," Johnson said. "The citizens of this state will be paying for these cuts in fiscal and human terms for decades." No extra money With a projected $1.5 billion shortfall in the state's $29 billion budget and every department facing cuts, there is no extra money to go around. To stay within their budgets, CoverKids and CoverTN had to stop signing up new people, said Joe Burchfield, spokesman for the programs. No one currently enrolled will lose coverage, but new people can't enroll until more funding is found or until spaces open up from attrition, Burchfield said. "From the beginning, we knew there would come a time when enrollment would reach the maximum allowed by the budget and, if no additional funds were available, we would suspend enrollment accordingly," Burchfield said. "Given the state's current financial situation, these programs are performing exactly as intended." State lawmakers will look at what can be done for CoverTN and CoverKids when the session reconvenes in January. State Sen. Jim Kyle, a Memphis Democrat and the Senate minority leader, said he would wait for Gov. Phil Bredesen's proposals before deciding what should be reopened. Kyle said he is sympathetic and aware of the growing need for social safety net programs. "But it takes more than just being sympathetic — it takes the ability to draw some priorities and come to some consensus around those priorities," Kyle said. 'Scary place for babies' In the meantime, Sandra Neely of Spring Hill wonders what will happen to her granddaughter, Kamie, who is currently covered by the state Medicaid program, TennCare. Kamie's mother works part time and does not get benefits. Her father had a full-time job that did not offer insurance. When both parents worked, Kamie was insured by CoverKids, but when her father was laid off, she was moved to TennCare because of the family's lowered income. TennCare generally serves the poorest and sickest kids. The 3-year-old's health insurance proved helpful when she hit a tooth on a swing set, and the tooth was saved. But families must prove eligibility for the program every year. Neely isn't sure what the family will do without CoverKids if the family's income goes up again past TennCare limits. "This is a scary place for babies if CoverKids is gone," Neely said. "Without CoverKids, there will be no insurance out there for children who are on the borderline of poverty, for the people in the middle who work but don't have or can't afford insurance." Timing questioned The adult plan, CoverTN, closed Monday with about 22,000 enrollees, though applications were still being processed. The program provides limited benefits to working adults, with the state, employee and employer sharing the cost in equal parts. CoverKids enrollment closed Monday with about 44,000 children enrolled. It is open to children through age 18 whose families earn too much money to be on TennCare but not enough to afford private insurance — generally between 200 percent and 250 percent of the federal poverty level. The program is funded largely through the federal Children's Health Insurance Program, or CHIP. Other states have frozen enrollment in their CHIP programs in the past. Most recently, California stopped accepting new applicants in June but reopened enrollment in September after more funding was found. Some states, including Wyoming, say they will stop accepting applications once they reach a certain number of covered children, but that has not happened yet, said Donna Cohen, director of outreach for the Center on Budget and Policy Priorities in Washington. Susan McKay, spokeswoman for the Tennessee Health Care Campaign, a nonprofit consumer advocacy group, wonders why Tennessee would close its programs to new enrollees at a moment when unemployment has reached historic proportions and more people than ever lack health insurance. In October, the U.S. Census Bureau released data showing that nearly 110,000 Tennessee residents had lost their health-care coverage in the past year, due largely to increased unemployment. Some residents who were laid off were able to take advantage of a temporary COBRA aid program, in which the federal government paid 65 percent of the premiums to continue health benefits formerly provided by the employer. However, the COBRA subsidies began to expire Tuesday. Federal money available More federal dollars are available for CoverKids, but Tennessee would have to pony up more state money for the program. For each state dollar, the federal government will chip in $3. "Since this is a program and a problem to which federal dollars have been assigned, we should be trying to draw down those funds, not turn them away," McKay said. Advocates say the state should dip into reserve or rainy-day funds, which sit at about $7.9 million for CoverKids and $19 million for CoverTN. Meanwhile, TennCare has a reserve of about $350 million. State officials said that money is not for situations that would require recurring funds. "These reserve funds are not viable for keeping enrollments open, as they are nonrecurring dollars and would not sustain increased enrollment in either program above current budget levels," Burchfield said. McKay countered: "If this isn't a rainy day, what is? And why do we continue to boost the rainy-day (fund) if we don't use it?" By Andy Humbles The Tennessean • December 1, 2009 Safety Throughout the Holidays will be the seminar topic of the free lunch seminar series, Summit Partners in Prime, 11:30 a.m. Tuesday, Dec. 15 in the classrooms on the ground floor of Summit Medical Center in Hermitage. A member from the Hermitage Police Precinct will lead the seminar. Summit Partners in Prime is designed to educate seniors on a variety of topics. Members of the program can receive special discounts in the hospital’s Pinnacle Café and Grill, the hospital gift shop and opportunities to participate in monthly health screenings a Summit Partners in Prime Binder and more. Membership in the program is free. To learn more about membership or to make a reservation for the seminar, call 342-1919. Hundreds of seniors expected at flu clinics By Christina E. Sanchez • THE TENNESSEAN • December 1, 2009 The H1N1 vaccine will be available to people of all ages at most county health departments starting today. Metro Nashville and Sumner County health departments lifted all restrictions Monday that prevented people who were not high-risk from getting the H1N1 vaccine shot. Only people considered high-risk — mainly pregnant women, children, health-care workers and caregivers of infants — have been allowed to get the shot for the past two months. That has left primarily seniors, ages 65 and older, and healthy adults without the chance to get the vaccine shot until today. State Health Department officials gave local departments the go-ahead about a week ago to start giving the vaccine to any person who wants it as long as vaccine supplies allow it. More than 1 million doses have been ordered for Tennessee since Sept. 30. The vaccine availability also has expanded beyond health departments to retail pharmacies and doctors' offices. Brian Todd, spokesman at the Metro Nashville Health Department, said client traffic in the H1N1 flu shot clinic has slowed, and the agency has been getting a steady supply of H1N1 vaccine doses. About 2,000 doses will be available at a clinic today from 7 a.m. to 3 p.m. The Nashville agency has given out more than 24,000 doses of the H1N1 shot and FluMist. "We've done a good job getting it to at-risk groups, and now, we expect the 60-and-over group will come to get it," Todd said. "We expect it will be a busy day." The Sumner County Health Department also will hold H1N1 vaccine clinics this week at its Gallatin, Hendersonville and Portland locations. Times and days vary by location. People are asked to call before going. People 65 and older weren't considered high-risk because most of the people getting sick and dying from the virus were younger. Health officials believe seniors may have some immunity to H1N1 because of probable exposure to a cousin virus more than 50 years ago. 49 deaths in Tennessee Tennessee has had 49 H1N1-related deaths, including 37 adults and 12 children. Five deaths, or about 10 percent of the total, have been people 65 and older. "We've had a high volume of calls from people 60 and older wanting to know, 'When is it going to be our turn?' " Todd said. "(The shot) is the best protection against flu, so we want to get it into the arms of every person. But when it's in short supply, you want to make sure those who need it most get it first." Nashville's health department also has been going into schools to get children vaccinated. The agency hopes to get enough vaccine to be able to go to five schools a day, but that has not happened yet. Availability of the vaccine could change based on how many doses arrive and how many are needed for schools. The vaccine is free. Doctors' offices and pharmacies may charge a fee to administer the vaccine. $250M facility at redesigned building is billed as magnet for jobs, visitors By Michael Cass • THE TENNESSEAN • December 1, 2009 Nashville's existing convention center could become a 15-story medical trade center buzzing with health-care innovations and brimming with visitors — and steering some business to a new convention hall. Dallas-based Market Center Management Co. plans to spend $250 million to redesign the 22-year-old facility. The proposal includes adding 12 stories on top of the convention center to create about 2 million square feet of exhibit space, company executives and city and state officials announced Monday. The repurposed building would house a medical mart showcasing more than 600 health-care companies' products and technology. Market Center Management Co., part of Crow Holdings, wants to create the world's first year-round medical trade show and estimated it would create 2,700 jobs and bring in 150,000 visitors a year. "Anybody who has health care as a customer base, we think they'll want to be here," said David Osborn, a Nashville-based senior adviser to the company. Cleveland and New York City are working on similar projects. But Market Center President and CEO Bill Winsor said he thinks the industry will support only one, and Nashville's position as a health-care business hub will give it an advantage. The plan, which Gov. Phil Bredesen called "a big deal," depends on several factors. Market Center needs to sign enough leases with companies that want space to display their products. It typically pre-leases 65 percent to 70 percent of the space before starting construction, which it hopes to do by the end of next year so it could open for business in 2013, Winsor said. Plan could be leverage Also, the Metro Council would have to approve a new, $585 million convention center nearby, then sign off on a reuse of the existing convention hall. Mayor Karl Dean's administration could use the trade center plan as leverage to try to convince council members skeptical about his convention center proposal that Nashville is attracting conventions, visitors and economic activity. Winsor said Market Center would want to use the proposed Music City Center for some medical conventions and trade shows. Nashville "is going to be the place to hold medical conventions after both of these projects are completed," Dean said. "This kind of blows it wide open in terms of saying we need to do this project, we need to do it now." Councilman Greg Adkins agreed, saying Market Center's plans show Dean's ambitions paying dividends. "You're already seeing the ripple effect of the new convention center," he said. But Councilwoman Emily Evans said the medical trade center makes more sense than a larger convention center at a time when the national supply of convention space is growing faster than demand. Nashville "is going to be the place to hold medical conventions after both of these projects are completed," Dean said. "This kind of blows it wide open in terms of saying we need to do this project, we need to do it now." Councilman Greg Adkins agreed, saying Market Center's plans show Dean's ambitions paying dividends. "You're already seeing the ripple effect of the new convention center," he said. But Councilwoman Emily Evans said the medical trade center makes more sense than a larger convention center at a time when the national supply of convention space is growing faster than demand. "That's more where the future is taking us than a traditional convention center," she said. "Private enterprise is leading the way and putting skin in the game. I don't think it necessarily follows that you build the convention center we've conceived, which is the old model." '2 distinct proposals' Dean plans to submit a convention center financing plan to the council Thursday for consideration in late January. Kevin Sharp, president of Nashville's Priorities, a group that's opposed to the convention center plan, said he thinks it's a mistake for Dean to use one project to push another. "I certainly hope that the mayor does not endanger this opportunity by attempting to tie it to the approval of his controversial convention center project because they are two distinct proposals," Sharp said in a news release Monday. Market Center would pay to expand the current convention center. Metro, which has fully paid for the convention center, probably would provide some financial assistance by reducing the company's property taxes or using them to help pay down debt, Dean said. The city doesn't get any property tax revenues from the building now. "It's safe to assume that there will be incentives involved," Dean told reporters. The city could continue to own the convention center and lease it to the company on a long-term basis — probably 30 years or more. In that scenario, Market Center would operate the building and make annual lease payments to the city. Matt Kisber, the state's commissioner of economic and community development, said the state would help with utility work and other necessary infrastructure improvements but would not provide direct financial assistance. The convention center now has 118,675 square feet of exhibit space. The building and the attached, 649-room Renaissance Hotel sit between Commerce Street and Broadway and between Fifth and Seventh avenues, surrounded by the Ryman Auditorium, the downtown arena, churches, parking garages and other buildings. Osborn said Market Center would move the wall of the convention center that faces Fifth Avenue back about 40 feet to create a plaza in front of the Ryman. Inside, the facility would feature permanent showrooms for 600 to 1,000 companies, creating what Bredesen described as a place for health-care providers to "comparison shop"; 120,000 square feet of temporary exhibit space for other companies and smaller trade shows; and a training and conference center. A broadcast center and public displays about healthy living are also possible.